Operating a successful dental practice depends upon having the right people for the right positions at the right time. In the real world, people move away, take maternity leave, change jobs, or get sick. Your patients still deserve excellent care. That's where Dental Directions can help! 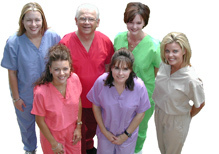 We can provide both permanent and temporary dental staffing. Clients benefit from our widespread marketing to continually reach new potential job candidates. You’re welcome to visit us at conventions and events, including Southwest Dental Convention and Texas Dental Association Convention. You’ll profit from our strong affiliation with the Texas Dental Placement Network (TDPN) with whom we share knowledge, information, and resources related to applicants and job openings within the field. We’ll protect you along every step of the way without disclosing personal and employment information to the public. First, we’ll providing you with all the information you need to know about a potential employee through Dental Directions; every applicant receives a complete screening interview to determine specific qualifications and abilities, as well as a criminal background check and a thorough review of references. You'll receive regular follow-up calls during your interview process too so that we can get your feedback and ensure you are provided with applicants that meet your specifications. You never have to worry about paying temporary staff, which means you never have to worry about paying unemployment. All temporary staff members are employed through Dental Directions and are paid directly through us, with matched employee taxes. Making sure that an employee is a match for an office is our primary goal and we want to ensure that your needs are met with temporary and permanent placements. Click here if you are interested in finding a new team member for your office.